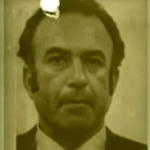 1 Danny (The Irishman) Greene – The brash, fearless and media-friendly boss of Cleveland’s short-lived Irish mob, Greene was killed on the afternoon of October 6, 1977, blown up by a car bomb outside his dentist’s office in suburban Lyndhurst after declaring war on the city’s traditional Italian mafia and Ohio Godfather James (Jack White) Licavoli a little over a year earlier. 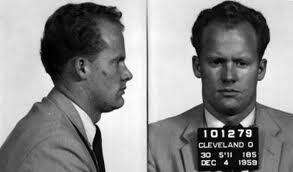 Greene came up as a strong arm under high-raking Mafioso Frank (Frankie B) Brancato and Shondor Birns, the city’s most-recognized Jewish racketeer, and he made his name in the local press as a brutish, yet magnetic labor union leader on the Cleveland waterfront. 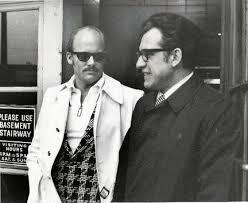 When the region’s longtime don, John Scalish died of heart failure on the operating table in the spring of 1976, Greene teamed with seasoned independent gangster and Teamsters union power John Nardi, to go after the city’s mob kingdom and the criminal empire Licavoli inherited. Misfiring on seemingly countless opportunities to clip the feisty Irishman, gangland veterans Ray Ferrito and Ronald (Ronnie the Crab) Carabbia were finally imported from outside the area and given the contract. 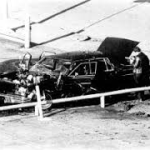 In the midst of their getaway from the office plaza parking lot they detonated the bomb that killed Greene in, a witness jotted down the license plate of the car they were in and a spot-on sketch of Ferrito’s face, leading to Ferrito flipping and the case being cracked.